Ginger (Zingiber officinale) is a tropical plant that has green/purple flowers and an underground stem that is aromatic. The dried or fresh root of the ginger plant is used as a spice in cooking and for medicinal purposes. Ginger is a dietary supplement which has been used to treat symptoms associated with rheumatoid arthritis and osteoarthritis. Ginger is thought to work by decreasing joint pain and reducing inflammation. There have also been claims that ginger increases circulation in patients with Raynaud's disease. Studies have shown that ginger extract inhibits TNF-alpha, COX-2, and lipoxygenase — explaining its anti-inflammatory effect. In 2012, an in vitro study was conducted with a ginger extract called Eurovita Extract 77. Results showed that the ginger extract reduced the inflammatory reactions in synovial cells as well as steroids. Ginger also was studied as a treatment for osteoarthritis. In a trial involving more than 200 study participants, Eurovita Extract 33 and Eurovita Extract 77 taken for a period of 3 to 6 weeks provided no relief to modest relief of osteoarthritis pain after standing and walking. It was concluded, however, that there is not enough evidence from studies to support recommending ginger for osteoarthritis. Ginger is also known to reduce nausea, vomiting, and is used to treat motion sickness and chemotherapy-induced nausea. A 2005 study reported that ginger killed Helicobacter pylori, a bacterium that is associated with stomach ulcers. Ginger is available as a powder, extract, tincture, capsules, and oils. The recommended dosage is up to 2 grams in three divided doses per day, or up to 4 cups of tea daily. There are few side effects that have been linked to ginger when taken in small doses. Common side effects include gas, bloating, heartburn, and nausea. 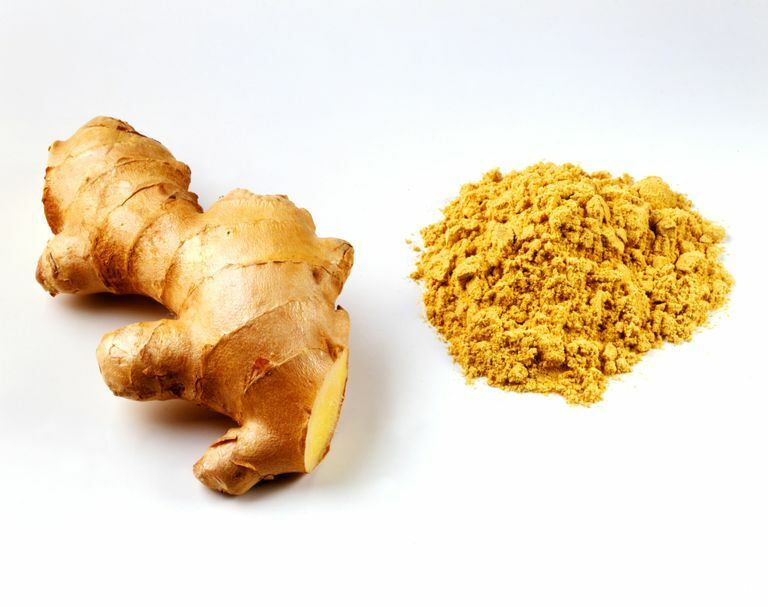 Ginger can interact with blood thinners (such as Coumadin). Also, ginger should not be used if you have gallstones. There may be other potential drug interactions, too. Discuss ginger with your doctor before adding it to your treatment regimen. Be sure to tell your doctor about all of the medications and supplements you take. Ginger. NCCAM. Updated April 2012. Dietary Supplements for Osteoarthritis. American Family Physician. Gregory PJ et al. January 15, 2008. Bliddal H, Rosetzsky A, Schlichting P, et al. A randomized, placebo-controlled, cross-over study of ginger extracts and ibuprofen in osteoarthritis. Osteoarthritis Cartilage. 2000;8(1):9-12. Is Mud Bath Therapy Effective for Arthritis? Do Glucosamine and Chondroitin Help Relieve Arthritis Pain?